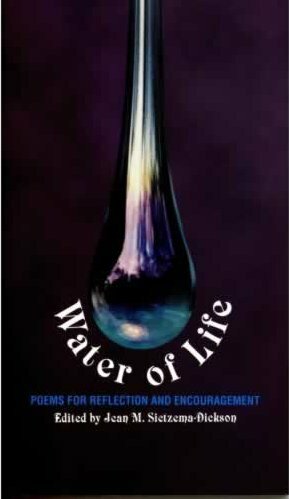 This book is a collection of poems for reflection and encouragement which you may use as you choose. You may devour it at one sitting or savour it slowly. You may share some poems in public worship or use them to console yourself or a friend. We hope that, amongst them, you will find some that will strike a chord, widen your horizons or deepen your celebrations of life. There are 20 contributors to this anthology. Most are members of The Wordsmiths including Coby Hill, Janny Brouwer, Joy Chellew, Julien Sinspear, Janette Fernando, Mary MacDonald, Marj Kosky, Connie Barber, Hazel Robinson, Don Hudson, Jean Sietzema, Linnet Hinton, Nel Lewis, Maria-Louise Stephens, Elizabeith von Leven and Andrew McKenzie. Guest contributors are Margot Escott, Sister Michaela, Steve Taylor and Wally van Veen. On my one-man mission to Nineveh! I consider some Rec Leave is due. And thumb my nose at the whale!